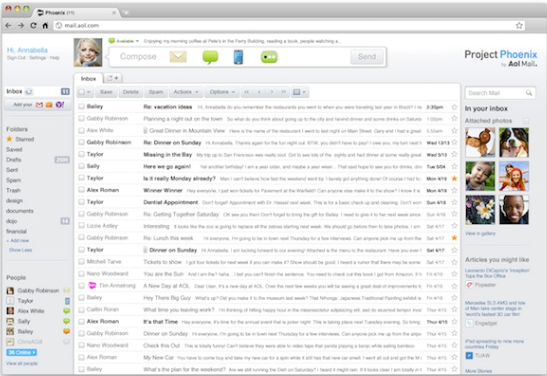 Aggregation of Aol, Yahoo, Gmail, Comcast, and other email accounts into one inbox. 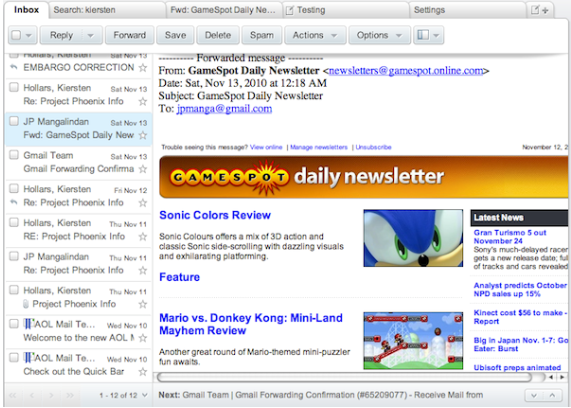 A "Quick Bar" or shortcut bar above the inbox with short email, IM, text, Facebook and Twitter status update capabilities. Three inbox views — "expanded," which allows viewing of the first few lines of each email, "compact" (think traditional), and and the Entourage-like "reading pane." Web browser-like tabs for switching between user inbox and messages. 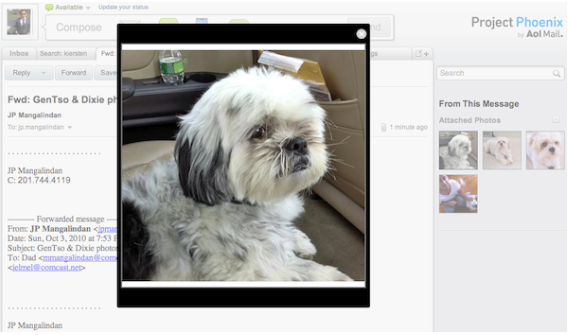 A photo sidebar that aggregates photo attachments. You are currently browsing the archives for the AOL category.